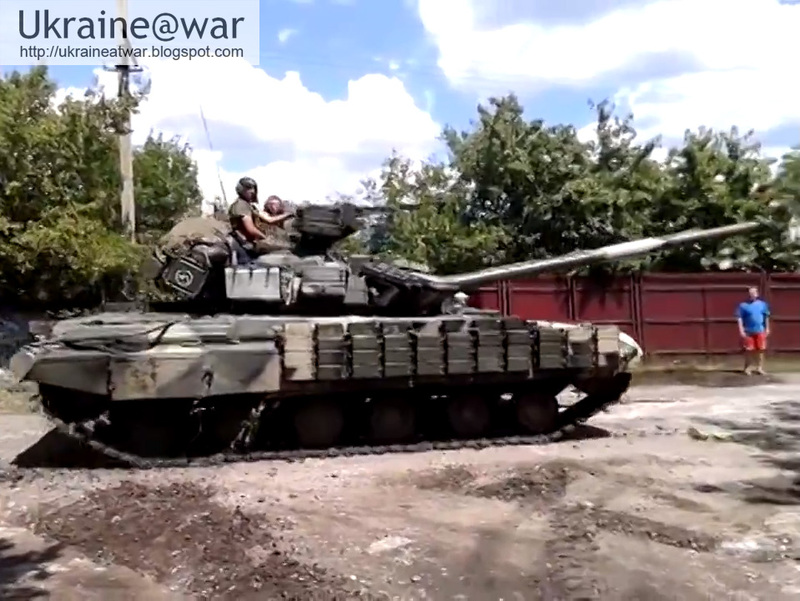 Here is a video of a T-64 tank doing a twist and turn in Luganskii a suburb of Lugansk. Painting is different. Snorkel on backside of turret is different. White paint was on the LEFT front spoiler and is removed. So it is a different tank. 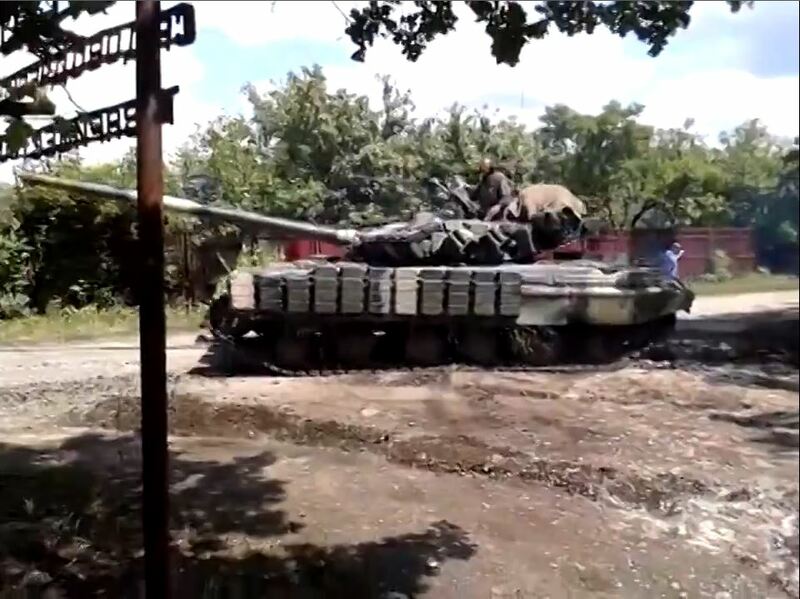 Which is an indication that this IS another captured Ukrainian tank. 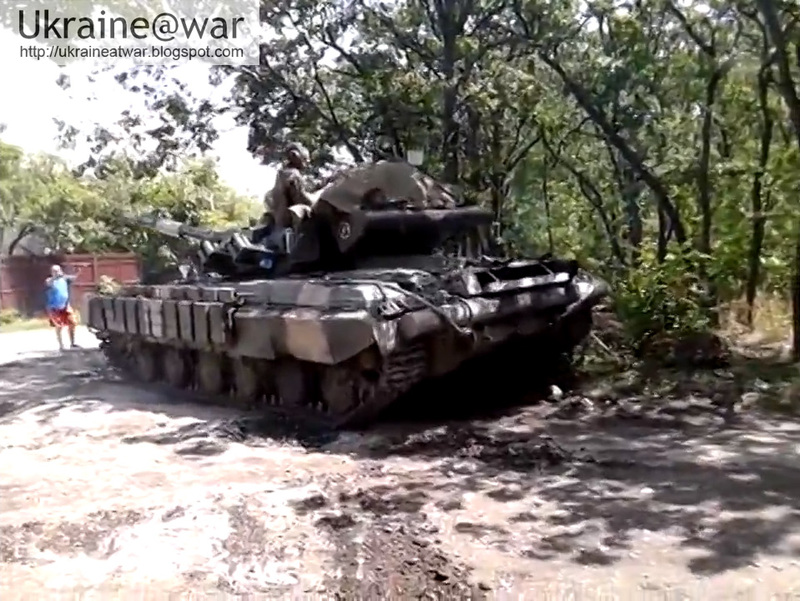 So far we have not had specific reports about other lost Ukrainian tanks, although we did hear about substantial losses and we have also seen a very deadly ambush, where some other kind of armor was captured. Another clue is that on June 20th, when up to 40 Russian vehicles invaded Ukraine, it was reported that the Lugansk airfield was surrounded by heavy armor. So far we have not seen any confirmation of this. But maybe this is the first incident? 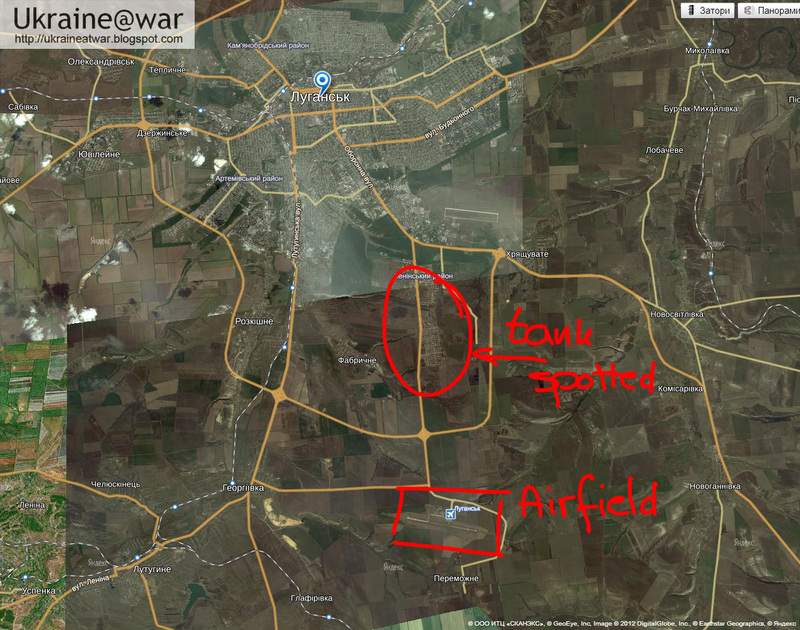 6 tanks, 6 GRADs and 9 trucks that had been reported to also have entered Ukraine have not been seen up till today. 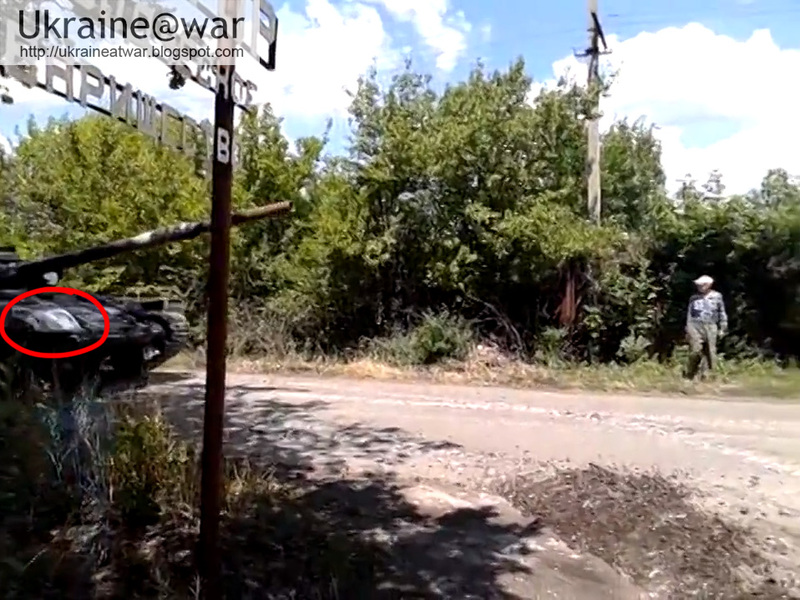 Although it is hard to geolocate this video, the description says this was in Luganskii, a suburb of Lugansk. Either it is a captured tank that has not been reported so far. 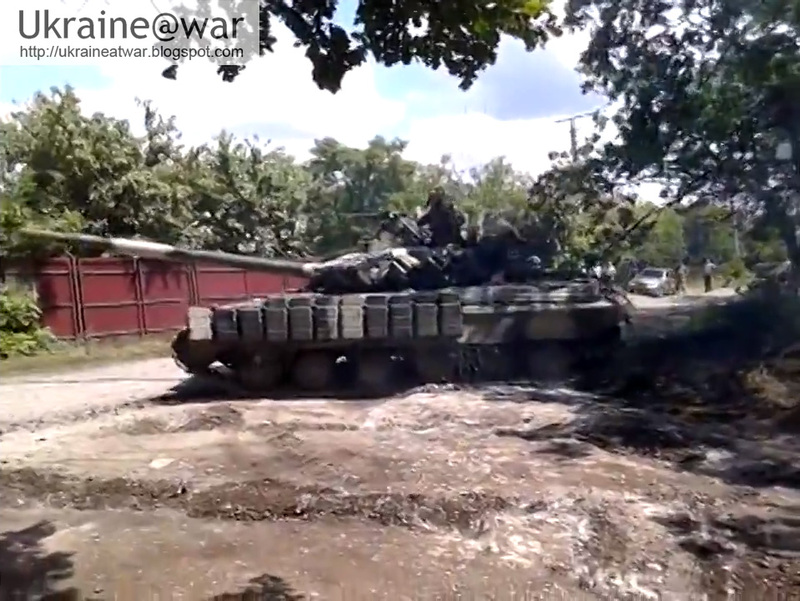 Or this is one of the tanks that entered Ukraine on June 20th and split of from the main Russian convoy to stay in Lugansk. Yet... it has not been been spotted as such. Furthermore it must have copied the logo from the revived tank to hide it's origin. Most likely is that is has been captured too. It is deployed in the South were the main (and only?) target is the airfield. Also see: Russia sends substantial reinforcements into Ukraine. 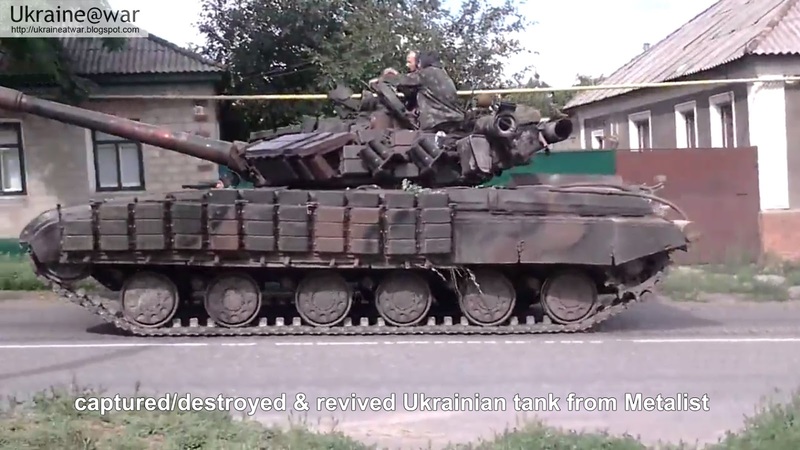 Also see: Captured and destroyed tank from Metalist has been revived.